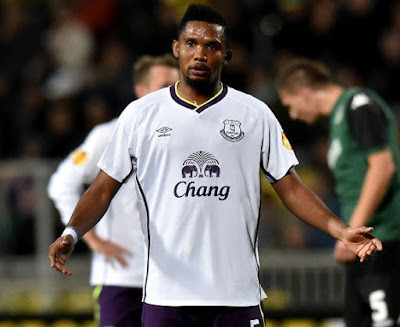 The private jet of Samuel Eto’o Fils was denied permission to fly out of Port Harcourt moments after the Cameroon skipper featured in a testimonial for former Eagles star Joseph Yobo. It remains unclear what actually happened, but the four-time African Player of the Year wanted to leave immediately after the game at the Adokiye Amasiemaka Stadium, but his plane was prevented from leaving by the airport authorities. “Eto’o wanted to leave immediately after the match but his plane was not allowed to leave,” a source informed reporters. Former Real Madrid and Barcelona star Eto’o, along with several other international football stars – both retired and active – were in Port Harcourt for the Yobo testimonial.